JEGS Air Cleaner with Logo 14 in. x 4 in. 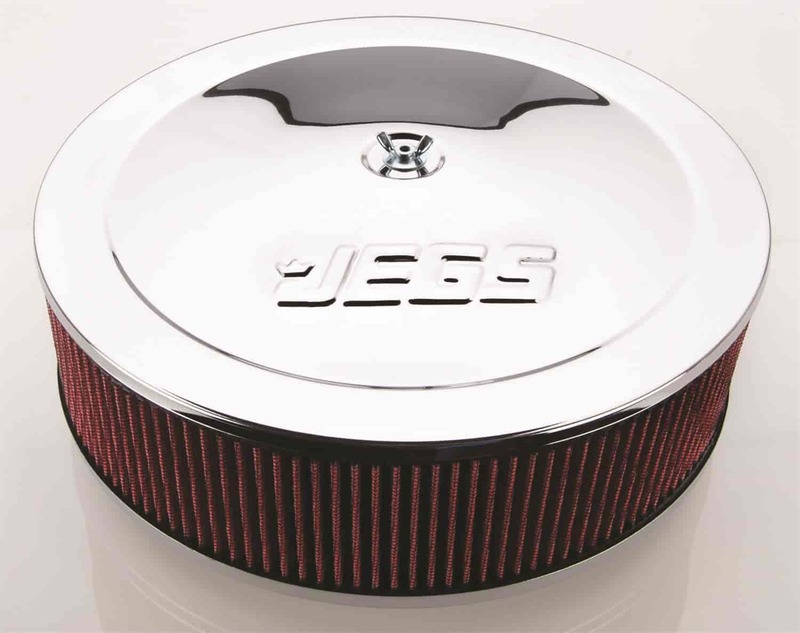 JEGS 50005 - Air Cleaner with Smooth Top 14 in. x 4 in. 50025 is rated 3.7 out of 5 by 3. Rated 5 out of 5 by Etclark2 from Good quality for the price Bought this for my 78 crew cab with a 454 & quadrajet. Dropped right on, cleared my linkages better than the stock filter and plenty of hood clearance left. Way more air filtering area than stock & a nice visual upgrade when you open the hood. Rated 5 out of 5 by Bass Mechanic from Nice Air Cleaner Great value and nice finish. Well worth the money.